Argan Oil Shampoo - Argan Secrets For More Healthy & Thick Hair! Argan Oil Shampoo – Argan Secrets For More Healthy & Thick Hair! Argan oil can help to reduce protein loss in damaged hair by up to 58%. But, there’s so much more to it than just that! In this post, I’m going to show you the ways in which argan oil can be used to prevent hair loss. These include by protecting the follicles, preventing signs of aging, and moisturizing and hydrating. I’ll also show you tips you can use to pick out the highest quality argan oil, as well as a few brands that stand up to this technique. Last, I’ll share with you a few of my favorite argan oil recipes, including shampoos, a hair mask, hot oil treatments, and a conditioner. 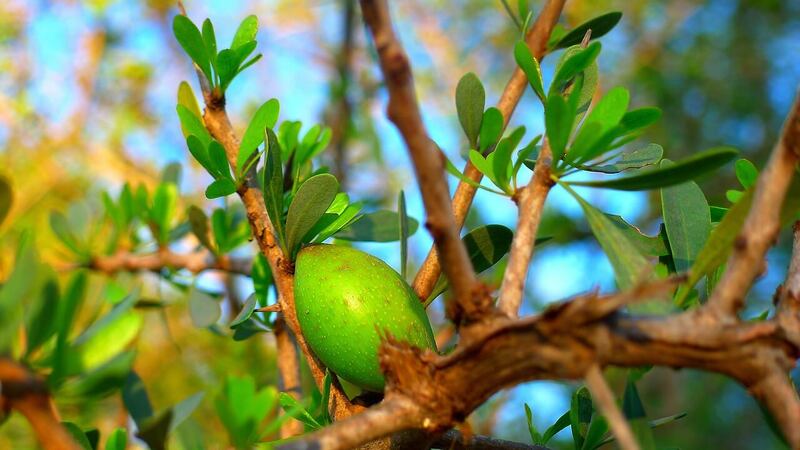 Argan oil is an oil derived from the kernels of the Argania spinosa L. tree. This tree is found in abundance in Morocco, and it has been used for centuries for its yield. Historically, argan has been used in cooking (as a dip and paste) and cosmetics (as a moisturizer). This use has continued today, and Morocco is even planning to increase production in the coming years to meet demands. Argan oil is rather compositionally complex, with a mixture of various beneficial components and nutrients. Let’s look at a few of its more abundant components. Tocopherols are a form of Vitamin E, and they provide a number of bodywide health benefits to those who use them. Foremost, tocopherols are a powerful antioxidant. However, they’ve also been found to play a significant role in gene regulation. In fact, tocopherols can inhibit not only free radicals, but also tyrosine kinase – an enzyme known to contribute to cancer cell development and growth. Polyphenols are micronutrients that are found abundantly in a number of plant sources. One source is the kernel of the Argania spinosa L. tree and, therefore, argan oil. They play a role in a number of human diseases, including coronary heart disease, diabetes, cancer, and even Alzheimer’s. In addition, they can help combat signs of aging by directly fighting against free radicals. Fatty acids make up a large portion (about 99%) of argan oil’s composition. As such, they contribute significantly to the oil’s beneficial properties. These fatty acids can be found in many other oils – including olive oil, almond oil, and jojoba oil – and they have a number of scientifically-proven benefits for hair growth. Oleic and linoleic acids, for example, are known DHT blockers. This means when they’re applied topically, they can naturally remove DHT from your scalp and prevent further build up. Stearic and palmitic acids, too, have proven benefits; they’ve been shown to reduce inflammation, and this can be beneficial in reversing follicle miniaturization. Carotenes – of which beta carotene is the most well known – are pigments that are naturally produced within plants, but not animals. In plants, they aid in the process of photosynthesis (the process by which plants turn sunlight into chemical energy). In animals, though, they can also play an important role. Vitamin A is a crucial nutrient, and one that can be synthesized from the consumption of A caratenoids. This plays a role in visual health, but supplementation may also prevent hair loss in those with a deficiency. One thing to keep in mind, though, is that excess Vitamin A is known to cause alopecia. As such, it’s important to keep a balance. Squalene – originally collected from shark liver oil, hence the name – is a compound that is found naturally in plants and most animals (including humans). While squalene does have internal benefits – such as the synthesis of sterols – it’s also a natural skin moisturizer. The human skin produces lipids to keep itself moisturized. One of these lipids – in fact, one of the most abundant produced – is squalene. However, this production does begin to slow down after the age of 30. As a moisturizer, squalene protects the skin (and even the scalp) from lack of sebum. This keeps the moisture level in balance, as well as the pH. With so many beneficial components, there’s no doubt that argan oil can contribute to healthy hair growth. Here are just a few specific instances of its benefits. A common characteristic of hair loss – no matter the underlying cause – is damage to the hair follicle. 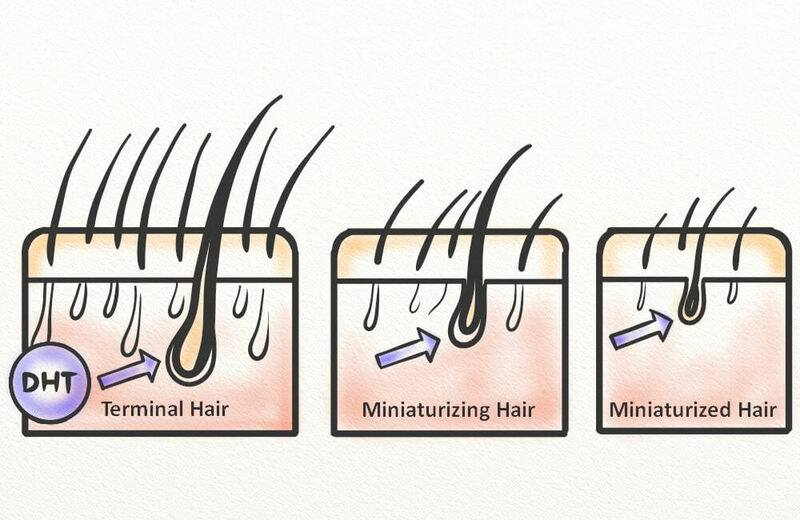 This commonly occurs as a result of follicle miniaturization and, if left untreated, can lead to permanent baldness. 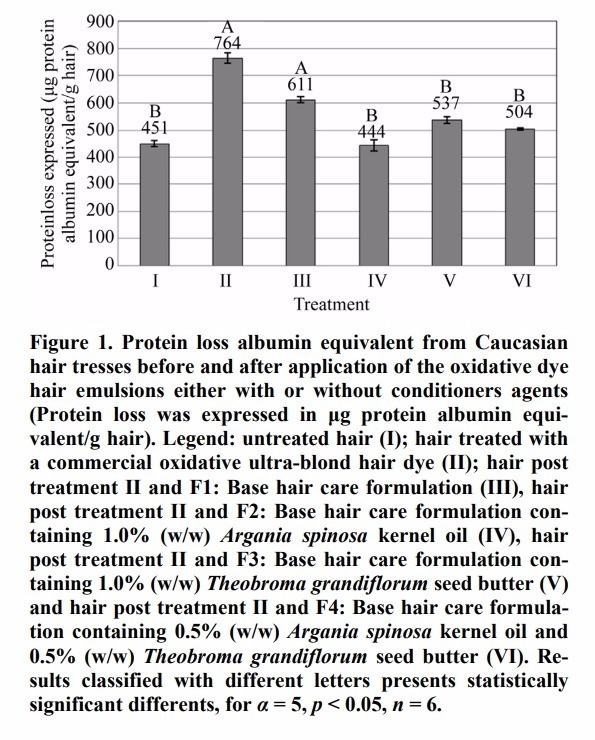 In 2013, researchers from Brazil tested A. spinosa kernel oil (argan oil) and T. grandiflorum seed butter (cupuassu butter) as post-treatment hair protectants in individuals with dyed hair. Hair dye is a common cosmetic product, but it’s also one known to cause damage to the scalp skin, hair strands, and follicles. This is due largely to the ammonia present in many permanent dyes, but even non-ammonia dyes can dry out the scalp and strip it of natural oils. As can be seen above, researchers used protein loss as an indicator of damage. So what does this mean for hair loss sufferers? Damage to the hair follicle can lead to the development and growth of damaged hair strands. This damage can eventually morph – or miniaturize – the follicle and lead to less and less hair growth. Over time, hair growth will slow and completely stop. By treating the damage quickly and preventing damage from taking place, you can ensure your follicles remain in their best form. There are many causes of hair loss. One cause is a natural side effect of aging which is sped up by the presence of free radicals within the scalp. Free radicals are incomplete molecules. To complete themselves, they steal electrons from surrounding molecules (such as those supporting the skin, hair, and other structures). This leads to an eventual breakdown of these structures, and signs of aging – including wrinkles, greying hair, and hair thinning – become apparent. To combat free radicals, an antioxidant is needed. These are molecules that sacrifices their electrons to free radicals. In turn, this prevents the breakdown of necessary molecules. Argan oil contains many components which lend themselves to the oil’s antioxidant properties. As such, your scalp and hair can be kept healthy and young. Argan oil – when applied directly to the scalp – will both moisturize and hydrate the scalp, hair strands, and follicles. A dry scalp is a common issue. It’s typically accompanied by itching, tightness, flaking, redness, and irritation. While a dry scalp itself won’t necessarily lead to hair loss, the scratching of your scalp can. As your nails scratch the skin, they can create microabrasions that lead to inflammation and further irritation. Scratching can also dislodge hair from the follicles, and disrupt the hair growth process. While many people turn to anti-dandruff shampoos, these can further dry out the scalp and leave it in worse condition. So, what’s there to do? This is when it’s best to turn to natural oils – one of which is argan – to remoisturize and rehydrate the scalp. By using natural oils, you can help your scalp to regain what it’s lost. In addition, you can ensure your hair is strong from root to tip and prevent breakage and premature loss. Argan oil is one of the more expensive oils. This makes it a popular target for frauds, and it’s why you should look for a few things before purchasing. Check the ingredient list. Just one ingredient – 100% argan oil (Argania spinosa L.) – should be present. There is no need for additives, including water or fragrance. Check the packaging. To protect argan oil’s properties from deterioration, the bottle should be dark colored and preferably glass. Examine the label. If the package does not say “Made in Morroco”, or “100% pure” you’ll want to avoid it. Perform a sniff test. The purer an oil is, the more like the plant it was harvested from it will smell. In the case of argan oil, it should smell mildly nutty. Touch (or examine) it. A watery substance can be indicative of a product that’s been ‘cut’ with water or other additives. Instead, the oil should be smooth, but not runny. As mentioned, this oil is one of the more expensive. However, it isn’t prohibitively expensive, and it can be found in many stores – both online and in-person. Anjou Moroccan Argan Oil has almost 400 customer reviews and a rating of 4.5/5 stars. It contains only 100% cold-pressed Moroccan argan oil. The product can be purchased for $13.99 for 4 fl. oz. If you’re looking for a certified organic argan oil, those are available too! The Josie Maran 100% Pure Argan Oil contains only organic argan oil. For $48 (at 1.7 fl. oz.) this is certainly a pricier product. However, the many reviews swear by it, so it’s definitely a product worth considering. Unrefined and mechanically-pressed oils – also referred to as ‘virgin’ – can be some of the most nutrient-packed. This means they can deliver the best results when used consistently. The Virgin Moroccan Argan Oil produced by VoilaVe is just as stated above. With no chemical processing and 100% argan oil, you can be sure this brand is one of the better ones. And, for $14.95 for 4 fluid ounces, it’s also not a bad price! Just as the others on this list, ArtNaturals Pure Moroccan Argan Oil is cold-pressed and virgin. In addition, it’s produced using only the healthiest argan kernels. At $12.95 for 4 fluid ounces, this is in line with most of the other oils on this list. And, with more than 1,000 customer reviews and a 4.4/5 rating, it’s a popular option for users. Aside from the variety of benefits that argan oil provides, another great thing about it is its versatility of use. You can add argan oil to many of your own homemade hair care recipes, including shampoo. Combine the above four ingredients in a dark, glass bottle. Mix well, and pour into palm. Apply the mixture to your hair, and lather. Massage for 2-3 minutes. Allow the mixture to sit for an additional 2-3 minutes, and rinse completely with lukewarm (or cold) water. The liquid castile soap acts as a gentle cleanser, while the argan oil works to prevent the natural oils from being stripped from the scalp and hair. 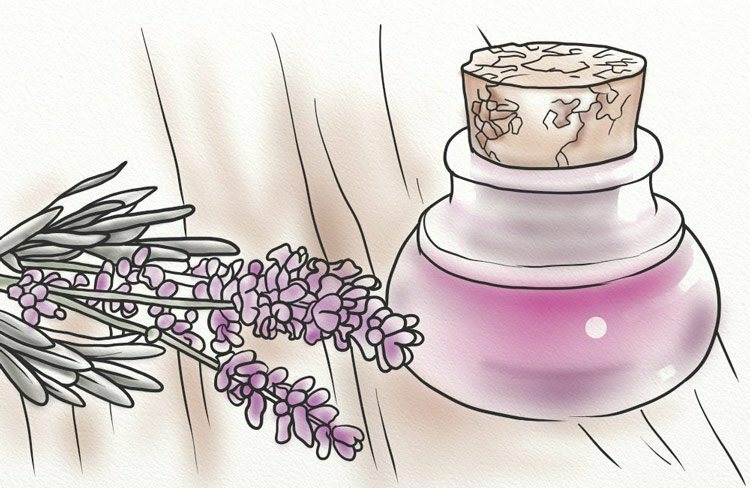 The lavender oil has been shown to have a positive effect on hair growth. Combine the ingredients in a dark, glass bottle. Mix well, and shake before each use. Pour into your hand, and apply to your hair. Massage into the strands and scalp for 2-3 minutes. Leave in for an additional 2-3 minutes, and rinse thoroughly. Coconut oil and its derivatives – including coconut milk – is highly penetrative and moisturizing. This property enables it and the accompanying ingredients to be delivered to the scalp most effectively. In addition, the liquid castile soap provides a gentle cleanse of the scalp, while the vanilla essential oil offers a light scent and a silky, soft touch. Massage it into your scalp for 2-3 minutes. Massaging it into your scalp ensures it’s spread evenly throughout your hair, as well as promotes blood flow to the area to absorb it more readily. Rinse it thoroughly. Removing residue will keep the balance of your scalp’s sebum in check. Repeat its use up to 2 times per week. If you have particularly damaged or dry hair, using it once or twice per week should be helpful. However, you can also use it as an occasional treatment. Aside from making your own shampoo, there are other ways you can incorporate argan oil into your daily hair care routine. One of the quickest ways to enjoy the benefits of argan oil is to apply it directly to your scalp. You can do this in a few ways. Hot oil massages are a commonly overlooked treatment for scalp health. However, they can be extremely beneficial. Here’s how to do one. Add one cup of the oil to a heat-safe container. Bring water to a boil (in a pan or kettle), and then remove from heat. Place the container in the water, and allow to sit for a few minutes. To ensure equal distribution to the contents of the container, pick it up and swirl on occasion. Before using, test the oil on your wrist. Once the oil is warmed (but not scalding), apply to the scalp from root to tip. Do not saturate your hair, but do ensure the oil is applied evenly. Massage your scalp in a circular motion for 5 minutes, and then place the plastic shower cap (or bag) over your head. Now, take your bath towel and dip or rinse in hot water. Wring out any excess water, and then wrap tightly around your head. Leave the towel in place for at least 30 minutes, though you can leave it on overnight if you choose. Once done, remove the towel and shower cap, and rinse thoroughly. You can then shampoo as usual. We recommend doing this a maximum of once per week. The main benefit of a hot oil massage is that it opens the pores and allows the ingredients to be fully absorbed by the scalp. In this way, you can ensure an even distribution and absorption of argan oil. Essential oils can play a critical role in the restoration and health of your scalp and hair follicles. By combining essential oils with a carrier oil such as argan, you can boost their benefits and ensure their delivery to the follicles. To use, you’ll need to mix the essential oil with a carrier oil to dilute. For every 5mL of carrier oil, you can use 1 drop of essential oil. Make as much of the mixture as you’d like, and store any remaining in a dark, glass container and store in a dark, cool, and dry place. Lavender is a pleasantly-scented oil with cleansing properties. Pour the mixture into your palm, and spread evenly between your hands. Use your fingertips to massage the mixture into your scalp and massage for 5 minutes. Leave it in for at least 2-3 minutes (or overnight) and then rinse thoroughly with water. You can use this mixture every night, rinsing with cold water each morning. Or, you can use this as an occasional addition to your hair care routine. Mix the above ingredients using either a mixer or blender. Apply the mask to a damp scalp before shampooing. Wrap your hair in a towel, and leave in for 30 – 45 minutes. 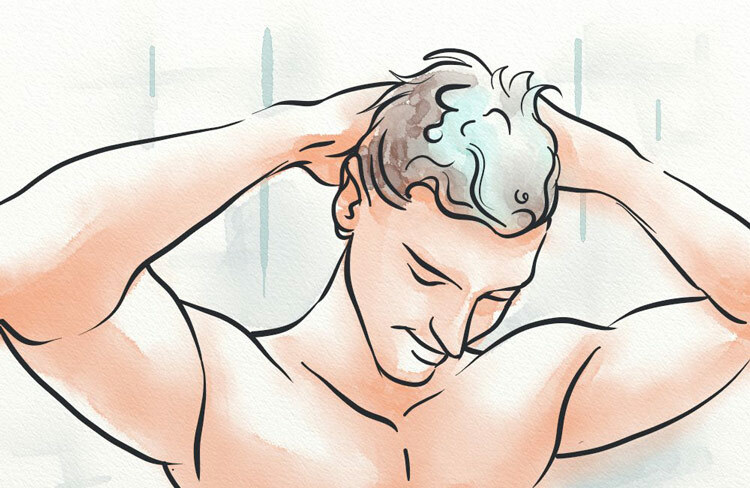 When done, rinse your hair thoroughly and shampoo as usual. Sweet almond oil offers many health benefits, including antioxidants and DHT blockers. In addition, the egg yolk moisturizes and heals dry, damaged skin, and the shea butter helps to hydrate and moisturize. The argan oil helps to deliver the mentioned benefits effectively. Whether in conjunction with argan shampoo or as a standalone treatment, argan oil conditioner can improve the health of your scalp and the overall quality and texture of your hair. Add all ingredients to the container of your choosing. Stir to combine. Store in a dark container. To use, take a small amount (about the size of a nickel) and warm in your palms. Apply it to the tips of your hair and slowly work your way up to the roots. Do not drench your hair, but instead thinly disperse it evenly. Leave in for 2-5 minutes, and then rinse thoroughly with lukewarm (or cold) water. As a conditioner, this oil can lightly coat your hair strands from root to tip and prevent future damage. In addition, the jojoba oil helps to deliver the rosemary essential oil, which itself can cleanse the scalp and promote healthy hair growth. With more than 1,100 customer reviews and a rating of 4.2/5 stars, Art Naturals has one of the most popular argan oil shampoos available on Amazon. It includes peach, avocado, almond and jojoba oils, and it also claims to be sulfate-free. For just $12.95 for 16 fl. oz., it’s also a fairly inexpensive choice. At $5.99 for 13 fluid ounces, this is one of the cheaper shampoos on our list. As such, it may not necessarily be one of the best. However at 3.9/5 stars, it may be one worth looking into in a pinch. With over 90 customer reviews and a rating of 4.3/5 stars, the OGX brand of argan oil shampoo is one of the more popular. It claims to strengthen, smooth, and soften the hair while also providing a healthy shine. At $11.18 for 25.4 fluid ounces, this is also quite a budget friendly option. A product of First Botany Cosmeceuticals, this shampoo has over 700 customer reviews and 4.2/5 stars. It claims to thicken and rejuvenate the hair and can even be used safely on color-treated locks. According to a number of reviewers, the product does exactly as it claims turning dry, brittle hair hydrated and healthy. It currently goes for $13.75 for a 16 fluid ounce bottle. There are many oils on the market that claim to have obvious cosmetological benefits; however, not all of these oils’ claims can be corroborated by science. In the case of argan oil, though, there has been much research that proves its use on the skin and hair can be quite beneficial. So, is it the right oil for you? This will depend on a number of factors, including cause of hair loss, skin type, and your goal. However, it’s certainly an oil that I recommend adding to your hair care routine, even if only on occasion. Would you like to learn about more hair loss treatment methods I recommend? I can’t wait to mix my own shampoo! In my hair-loss-frustration last weekend I already mixed argan oil (because it was the only “better” carrier oil in the house) with peppermint oil. Unfortunately my scalp is still dry and itchy. But before I am ready to try a new shampoo – I don’t get what “Liquid castile soap” is. I am german. The german translation says it’s some sort of oliveoil-soap? Is there another expression for castile soap I can translate?